A key part of Gov. Mark Dayton's plan to balance Minnesota's budget is a provision designed to collect state income taxes from snowbirds -- people who flee the state in the winter for warmer weather elsewhere. But it's unclear how the proposal would work. In theory, Dayton's snowbird tax is simple. It requires anyone living in Minnesota for more than 60 days a year to pay a prorated portion of their income taxes in Minnesota. Under current law only those who live in Minnesota for more than six months of the year must pay state income taxes. Changing the law would generate $15 million a year, according to state Department of Revenue projections. 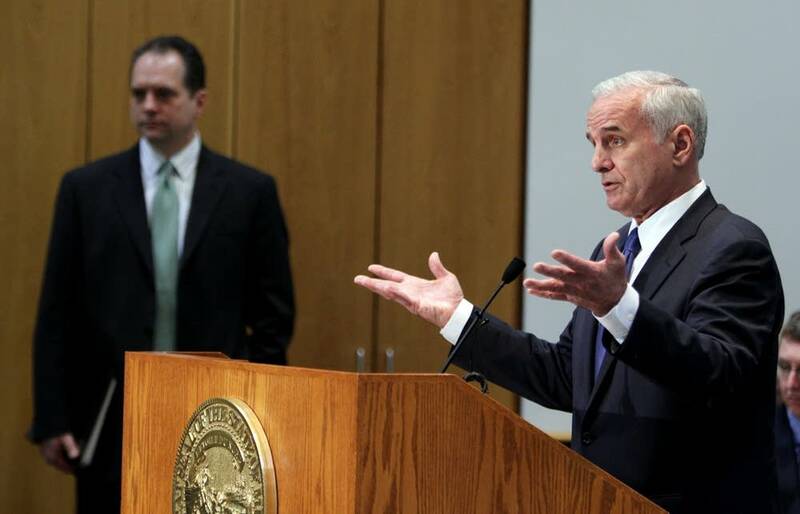 When he announced his budget plan, Dayton said he thought that estimate was low. He said his proposal is a matter of fairness. "People who I know ... are advised by their accountants to shift their residence elsewhere and literally live outside the state at a no-tax or low-tax state for six months and one day out of the year and then come back here and use our state and all of its services and all of the advantages and benefits for five months and 29 days out of the year," Dayton said. "That's really wrong and unfair. It's a matter of principle as well as revenue." But what seems simple may not be so easy to track when it comes to collecting revenue. No state has a tax plan that's as aggressive as Dayton's proposal, said Joel Michael, coordinator of House Research. It's also not clear how tax officials would track who should pay the new tax. "It would be very difficult to enforce," said Todd Koch, an accountant in Falcon Heights, Minn. "How would you know if a person drove their car up from the state of Minnesota?" Koch has several clients who live in lower tax states but spend their summers in Minnesota. Some are already monitoring the length of time they spend in the state to avoid paying taxes. If Dayton's plan becomes law, he predicts some of his clients will choose to sell their Minnesota homes and spend less time in the state. "If you would have tax on an extra $50,000 in the state of Minnesota, that's approximately an extra $4,000 in income taxes," Koch said. "They may logically say 'I can spend that money or less and take everyone on a vacation elsewhere, or I can have them come down and visit me more often.' "
Koch said he wants to see how the legislation is written, because federal law allows only a person's state of residence to tax retirement income. That means Minnesota would be unable to collect taxes on pensions, 401Ks, 403Bs and other deferred retirement compensation for people who live most of the year in other states. Dayton's office has not yet released the specific language of the proposal. Minnesota Department of Revenue officials declined repeated requests to explain how they would enforce Dayton's plan. At a recent committee hearing, Revenue Department Attorney Mark Peterson said taxpayers would be responsible for reporting their own whereabouts. "That is something that taxpayers would have to keep records on," Peterson said. "Right now it's relevant in the context of 183 days and our experience is that the taxpayers who are getting close to that are aware of the law and they are keeping reasonably good records. We end up having some disputes generally over a few days as we get close to those 183 days." State Rep. Greg Davids of Preston, chairman of the House Taxes Committee, said he isn't sure how the law would work. "Unless we're going to have Big Brother tracking where everybody lives every second of the day, I don't know how you can enforce a provision like the snowbird provision," Davids said. "I don't think it works." Davids doesn't support the provision. He and others in the GOP-controlled House and Senate, say they won't support a tax increase to balance the state budget. Republicans will release their broad outline for balancing the state's two-year budget this week.